My father-in-law was a food snob. He had great taste, and he knew what he liked. I admired him more in the short time I knew him than most people I’ve known for a lifetime. He shared this recipe with a very few, select people. It was an honor to have him show me in my own kitchen how to make this delicious dish. 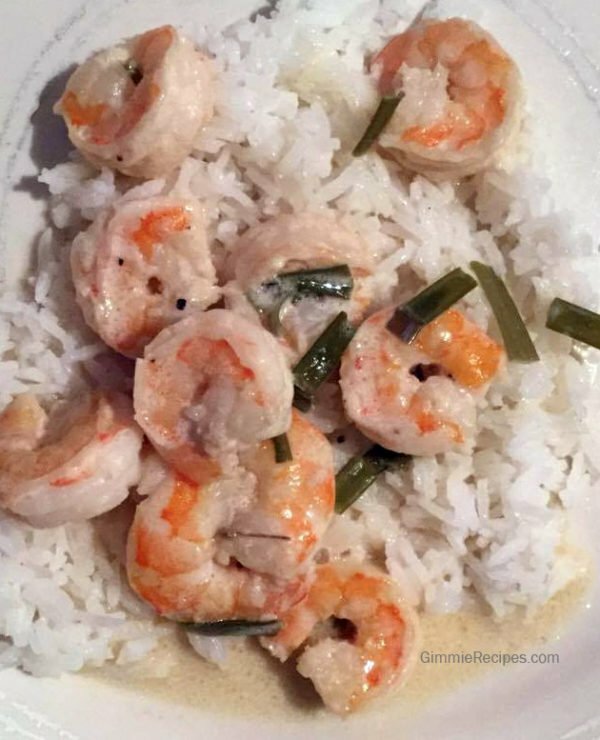 But more than knowing how to make fantastic shrimp scampi, knowing all of what this recipe meant to my husband’s family – and getting to be a part of that for close to 20 years – that is the real treat. Always cook when you’re hungry. Imagine the tastes and savor the journey. The trick is not to overcook the shrimp, but the real secret is in adding the ingredients in the right order. Add the garlic too soon and you’ll lose the taste. Add it too late and it won’t infuse with your meat. Rinse shrimp and set aside. Add oil and butter in large skillet over medium heat. Cook garlic 1-2 minutes or until softened but not browned. Then, add one at a time allowing 5 minutes cook time between each (in order: wine, onion, lemon). Sample (taste) and add more to taste. If you want a stronger garlic taste, add it after wine. Cook on very low heat. Saute' 15-25 minutes until achieving desired taste, then add shrimp. Cook until shrimp are pink and firm (2 minutes if adding raw shrimp, less than 1 minute if adding cooked shrimp). Do not overcook shrimp! Add chopped parsley and salt and pepper to taste before serving. Garnish with lemon slices and parsley sprigs if desired. Serves 4 as a main dish or 8 as a first course. Serve with white rice, jasmine rice or angel hair pasta.